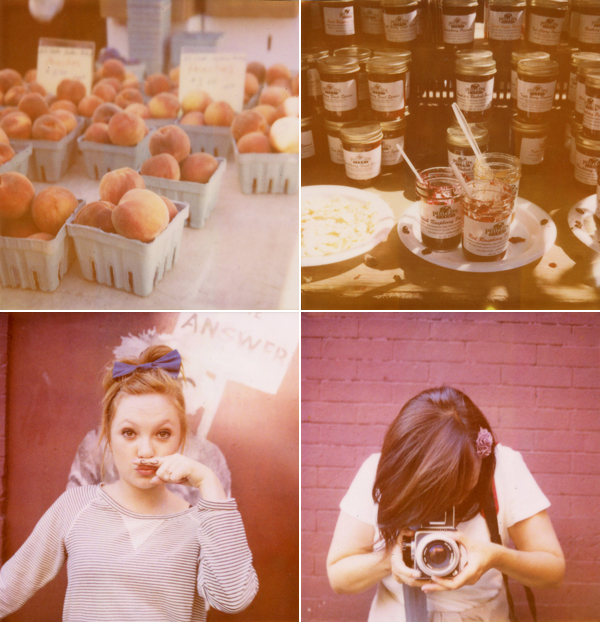 Recently, I haven't taken as many Polaroids as I would like to, but I did want to share these shots taken at the Union Square Greenmarket (possibly one of the most photogenic and Polaroid-able places in the city) and of course, Emma, Cindy and her beautiful Hasselblad! I will hopefully return with a more substantial post - many good dinners recently :). Love!!!! your photographs are amazing! <3 Keep these blog entries coming!